Back by popular demand, the Magnificent himself, DJ Jazzy Jeff will be returning to Barasti on Friday 27th October. 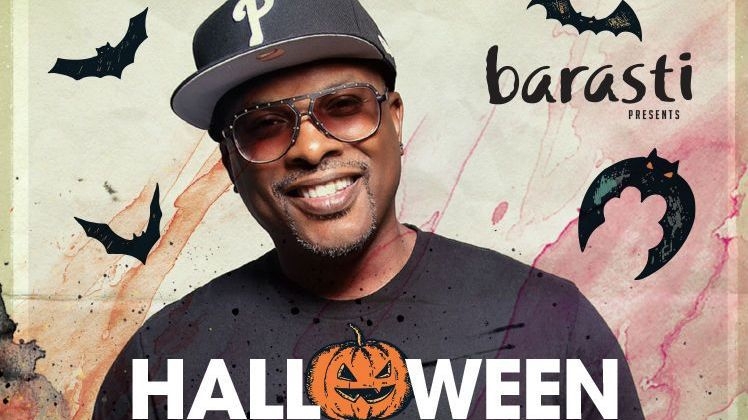 Alongside Barasti’s resident DJs, Jazzy Jeff will take to the stage for an epic Halloween celebration! Best known amongst some for his work with partner Will Smith ‘The Fresh Prince’, the multiple award-winning DJ Jazzy Jeff, or ‘The Magnificent’ is a force to be reckoned with. A DJ and producer, he travels the globe to perform, taking fans on a musical journey with each set. Chronicling his travels in the increasingly popular Vinyl Destination’ web series that documents his experiences both on and off stage.